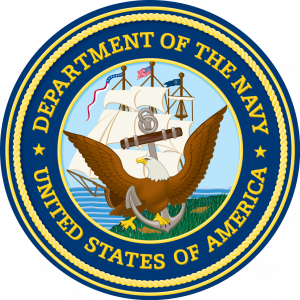 Va Beach – Commodore Joseph George Kamrad (USN, Retired), 90, of Virginia Beach, Virginia, died Thursday, June 7, 2018. Born February 8, 1928, in Trenton, New Jersey, he was the beloved husband of Joan Ann Wiley Kamrad, his childhood sweetheart, for 65 years. Along with his wife he is survived by his four children: Kurt Kamrad (Deb) of Ft. Lauderdale, FL, Leslie Howard (Tom) of Chevy Chase, MD, Christine Ritter (Jim) of Virginia Beach, VA, and Maria Honeycutt (Shade) of Virginia Beach, VA, seven grandchildren, and four great-grandchildren. Commodore Kamrad enlisted in the Navy in 1946 and became a commissioned officer after his designation as a naval aviator in 1950. Commodore Kamrad’s command assignments included tours as CO HS-5 (1967-1968), CO HS-1 (1968-1969), CO USS Austin (1974-1976), and Commander Amphibious Squadron 4 (1976-1978). Following his 31-year military career, Commodore Kamrad completed certification as a professional tennis instructor, managed several indoor tennis facilities, and served as a chair umpire at major professional tennis tournaments, including the US Open.